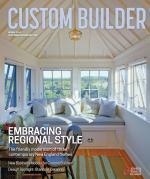 A compilation of Custom Builder's articles, surveys, ideas, trends, and tips on management for residential builders, remodelers, and architects serving the residential construction industry. Research across a number of professions has shown time and again that productivity and accuracy decrease when employees aren’t given sufficient time off to recharge. Many of Architect Ken Brinkman's infill homes have the older characteristics of Chicago's old, stately neighborhoods with modern interiors (Photos: Herbie Rooprai).